As some of you know, I love Canada and particularly Quebec. However, for all of their wonderful food and culture, Quebec inherited the quixotic and often comical cause of protecting French against common expressions from their counterparts in Europe. Now, the language police, Quebec’s office of French language, or OQLF, has cited a restaurant for having too many non-French terms on its menu. The problem is that it is an Italian restaurant and the names of the dishes are Italian. I actually have eaten at Buonanotte, which is a highly regarded restaurant in Quebec. The written complaint from the language police cited the Italian restaurant for having too much Italian on the menu. 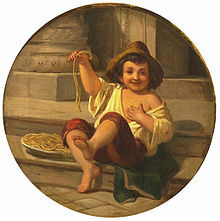 Initially, rather than immediately confess to being language bureaucrats with too much time on their hands, the OQLF doubled down and insisted, according to OQLF spokesman Martin Bergeron, that any foreign words on a menu “must not be predominant over French.” After all, why say Pasta when you can use the incredibly confusing word pâtes? The language police in France has always been a ridiculous institution as French purists try to hold back the tsunami of popular expressions with a regulatory teaspoon. The fact is that, as the world comes closer together through the Internet and technology, we are becoming more varied in our expressions and incorporating words from other languages. That is a good thing, in my view, but regardless of how you feel about it, it is an inevitable thing. Otherwise, you end up taking red pencils to Italian menus. After the action became a global joke, the OQLF backed down and admitted that it might have been “overzealous.” Well, I am sure that they meant to say trop enthousiaste. Why do you talk about the Québecois protecting their language from words from the languages of their “European counterparts”? Because they speak French? Yes, French is originally a European language. And the people of the U.S.A. speak English, and that’s originally a European language too. Wouldn’t you find it weird if I spoke of the people of the U.S.A. “and their European counterparts”? The French tongue is a grand mélange of other languages. Its very name is derived from German “frank,” meaning “free,” the name of a principal German tribe that invaded (or perhaps immigrated to) Gaul. The Gauls are a quite different people of Gaulish or Celtic descent. French is a direct descendant of Latin with heavy influence from German dialects and the former Gaulish language, which is of the same family as Gaelic. The French need to get off their high horse. Vive l’hotdog! Dont mind him, these dogs are practicing their French. Ou es un toilet suille vois plat? Hey BarkinDog: It is Sacre Bleu. Not Blue. Yeah, I bet those Itals did not have snails on the menu. I am in the process of reading The Fall of the Third Republic. The chapter on the Dreyfus Affair has just been read by me. I skipped ahead and read about Vichy France and the anti semetic french frogs in WWII. In my prior life as a human I had ancestors from Alsace who spoke German when they came to America. I am not authomatically french phobic or against them. But mein gott, to tell a business what to put on the menu! Sacre Blue. Of course the Italians under Mussolini invaded France in 1840 with their Kraut allies, so maybe there is some resentment amongst the frogs, even in Quebec. Or is it spelled QuebeCois? The book about the Third Republic is on the Dogologue Machine and converts into dog barks and grunts. Such is technology in this grand new world. Viva Le Frogs. So much for liberty, equality and fraternity. Heaven forbid a citizen there thinks in a language other than French. What PSmith said reminded me of a story: Tikki Tikki Tembo-no Sa Rembo-chari Bari Ruchi-pip Peri Pembo. I love the French language, challenging grammar and all and spent a wonderful summer in Paris “practicing”. Trying to learn Spanish trips me up because I tend to use the French vocabulary instead! Give ’em some Freedom Fries and pass that ketchup. That’ll show ’em. I dealt w/ many Quebecers when I worked 2 summers @ a Wildwood, NJ resort hotel. I found many rude w/ chips on their shoulders. I had taken French in high school and college. I learned quickly, unlike other cultures, I was mocked when I tried to meet them halfway in speaking. Mexicans, Colombians, Italians, etc. are gracious.I stopped trying but knew enough French to hear their often cruel comments between each other. I’ve since learned from Canadians in other provinces my experience was the same as other Canadians. I had a friend who wentto McGill. When I visited her, it was a better experience but not enough to make me a fan. The only people whose paranoia is comparable are Americans who want English as the US’s “official language”. It’s ironic how many of those who say that are incapable of speaking it properly. Waiter,” Could I possible have Spaghetti Putanesca with extra horse meat cooked in curry? Thanks. I too love Quebec and have spent some wonderful vacations there. I found the people quite hospitable, the atmosphere beautiful and the food excellent. I speak little French and that at times made things difficult, but certainly not enough to spoil my time. What I found strange was the entire French Separatist Movement and this nitpicking about language. I took a French 1 course in high school and failed it because I could’t get the complex grammar. I then took it in college and failed it again because of grammar. While this says much about my deficient language skills, outside of English, I must admit that in both instances the Professor’s extolling “La Gloire Francais” was a pretentious turnoff. Kinda like a Texan… But only in Canada…..there’s only one language…. So you call a person that speaks three languages… Trilingual ….. And a person that speaks two languages…. Bilingual …. Then you got the ones that speak one language…. An American…..